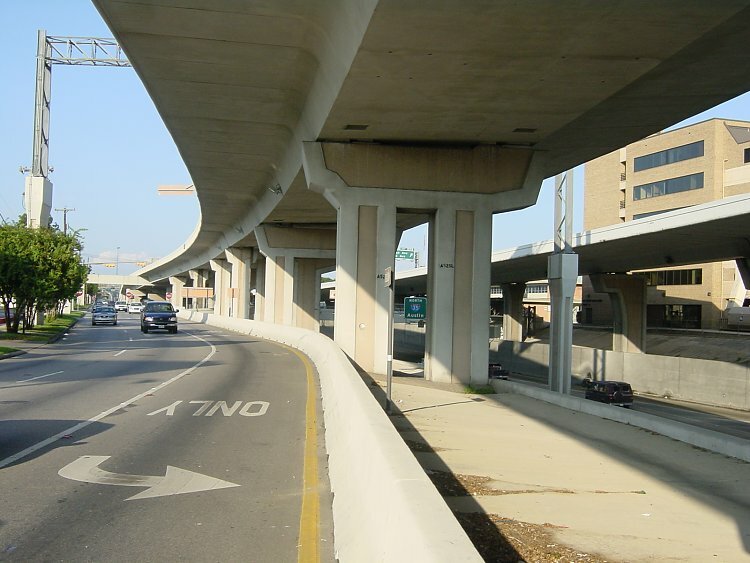 Interstate 35 on the north side of downtown San Antonio is a double-deck facility. 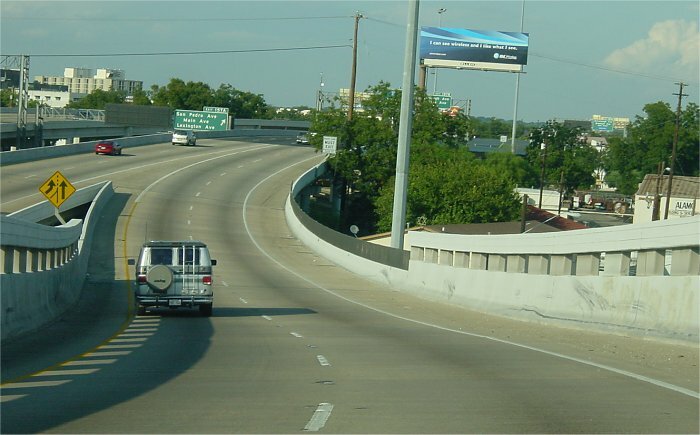 The double decking, completed in the late 1980's, added six elevated lanes to the existing 4-lane freeway below. 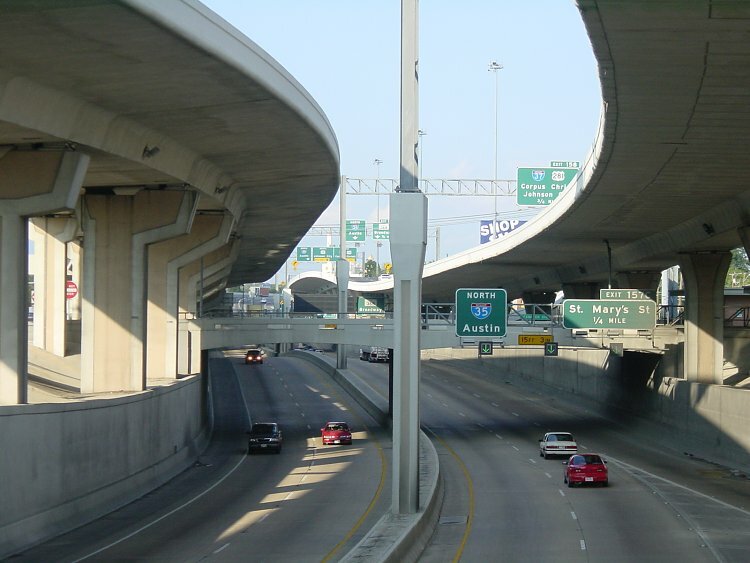 Driver's on the ramp from southbound IH-10 to eastbound IH-35. 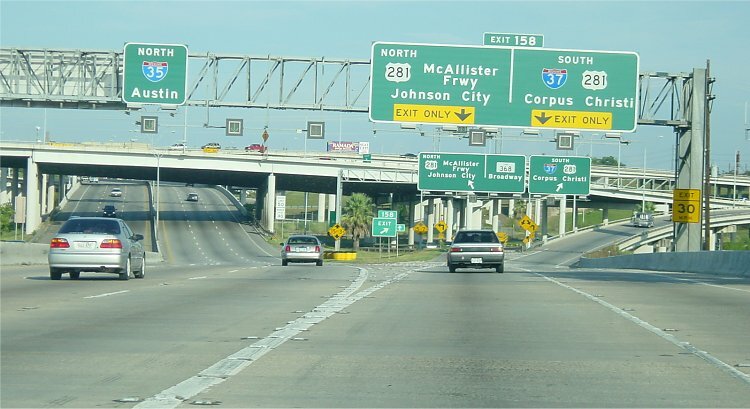 This ramp connects to the upper level of Interstate 35. Photo taken 2-September-2001. On the upper deck just east of Interstate 10. 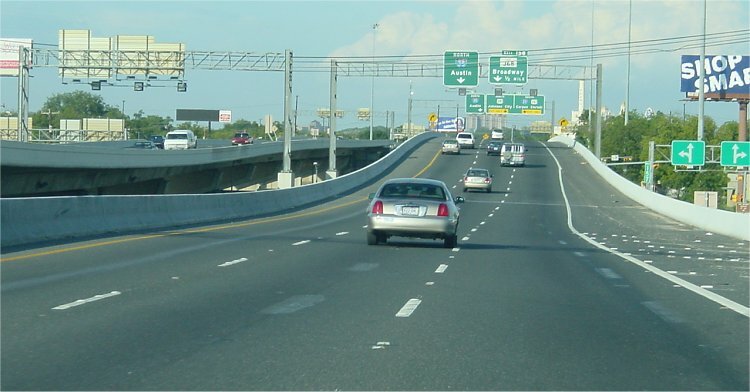 Photo taken 2-September-2001. Looking east near San Pedro street. Photo taken 2-September-2001. 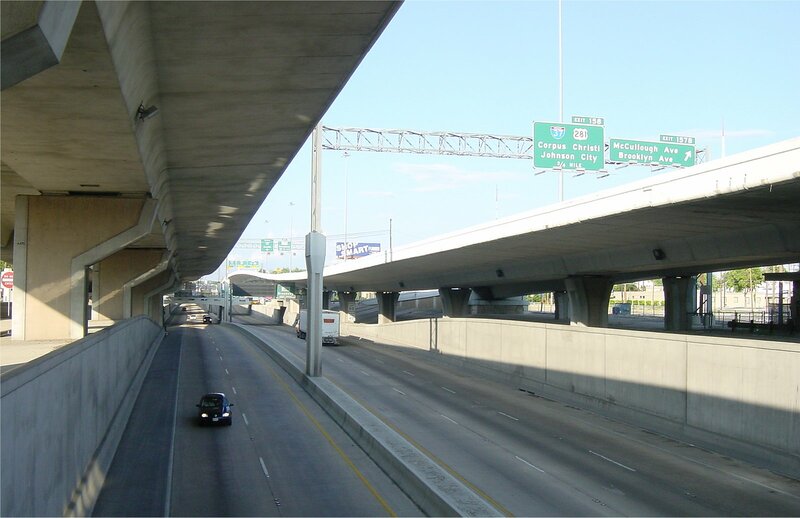 Looking east along the westbound IH-35 feeder road. Photo taken 2-September-2001. Looking east near Main. Photo taken 2-September-2001. Going east on the upper deck. Photo taken 2-September-2001. Looking east near St. Mary's. Photo taken 2-September-2001. 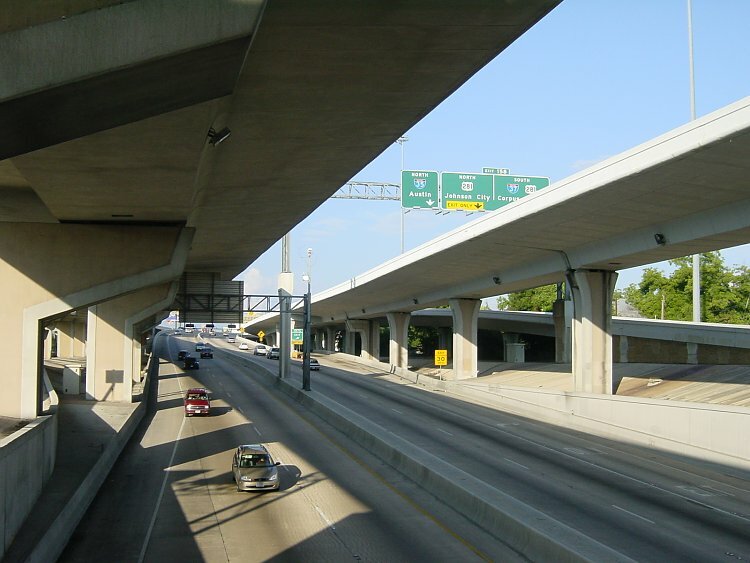 The double deck freeway ends at the 281/IH-37 interchange. 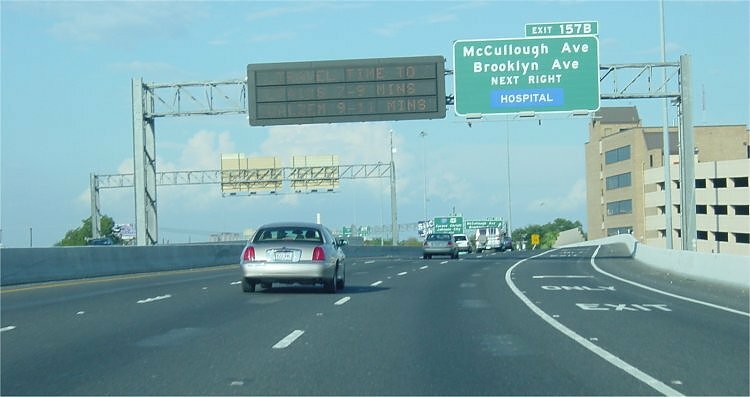 Photo taken 2-September-2001.